Some photos from when I first visited the Amherst Diner, six years ago. Purely by chance, my father and I hit it on the day of their grand re-opening. I was interviewed for the Winchester Star. An excerpt from the story appears below. A Maryland teen with the day off from school dug into some sausage gravy on Wednesday during his first visit to the Amherst. Spencer Stewart, 15, of Olney, didn’t know he had appeared on the first day of Ashby’s tenure. His father Michael, an architectural photographer, took photos and served as the driver for their Winchester excursion, which was slated to include the Piccadilly Grill, Snow White Grill, and perhaps the Triangle Diner. He likes the food, and said he is interested in them because they’re disappearing. He and his father often take day trips to eateries within two or three hours of their home, and they’ve also taken longer excursions along the East Coast. 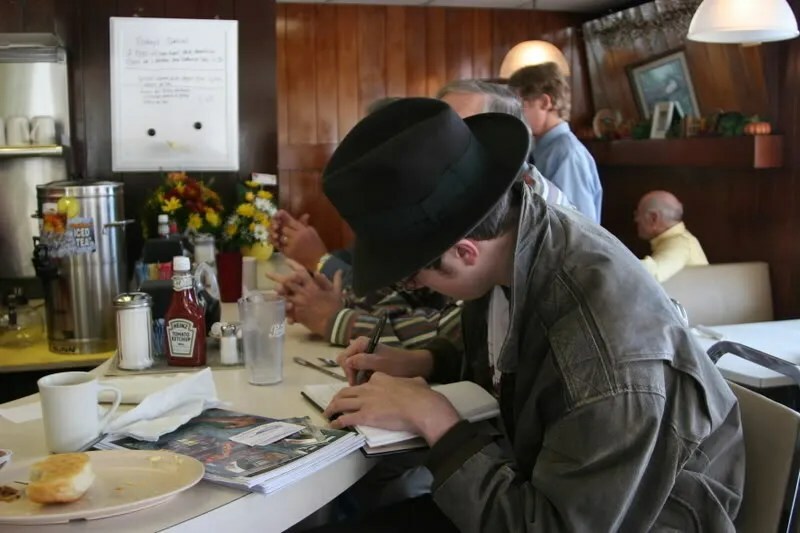 Spencer is now filling his third journal’s worth of notes on diners. And while Spencer may revisit the Amherst in the future, patrons such as Swartz and Heishman plan on appearing at the counter every morning. “As long as they stay open, we’ll be here,” Heishman said. The Amherst diner is an old on-site family restaurant. I wouldn’t count it as a on-site built diner, because it does not conform to the aesthetic of factory built diners. 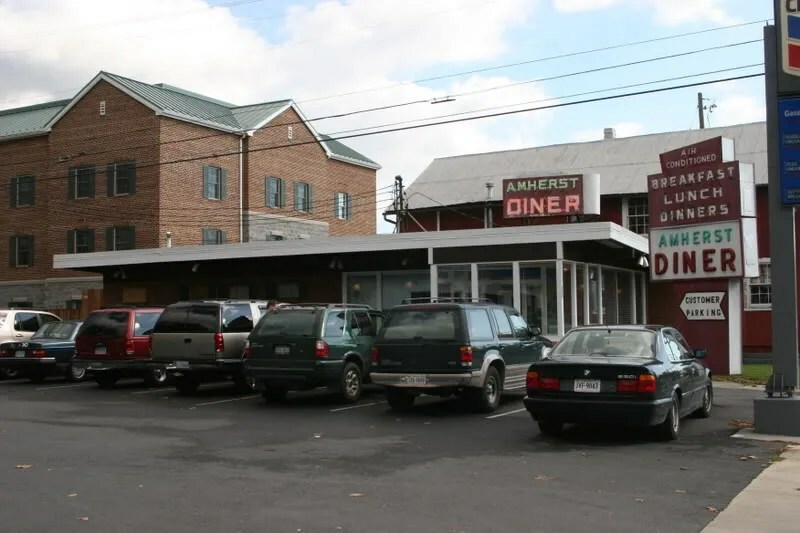 This entry was posted in Diners / roadside related, Diners/ restaurants and tagged Amherst, Amherst Diner, blog, breakfast, diner, food, greasy spoon, Hamburgers, history, Newspaper, review, triangle diner, Vintage, Winchester Star by Spencer Stewart. Bookmark the permalink.